Okay the Infinix Hot S3 has been around in Nigeria for the past one week now, but i don't really see or hear people going gaga and crazy about the new face id feature which debuted with this smart phone. So that is the reason why in today's article, we'll be putting the Infinix Hot S3's Face ID, against that of the iPhone X, to see if it is really a Face ID, or just another questionable gimmick from infinix. PLEASE NOTE: I know most of us reading this article right now, might be seeing this comparison as a very much unfair one, because we all know that the Apple iPhone X is a very top high end flagship performer, and also a smart phone that comes at a kidney worth price, so you should know the quality and guarantee of what you're getting at that high price compared to the mid-range and more lesser priced infinix Hot S3. So to clear all those doubts, the reason why i made this article was not to really compare or spell the Hot S3's face id useless, no that isn't the purpose of writing this article. The reason why this article was made, was to know if the face id feature, is really a real one or just another gimmick from infinix (Remember the Iris Scanner that came with the Tecno Camon C9 back in 2016,which was just another very hilarious joke to laugh at), because at this point, nobody was actually expecting anything like the face id from infinix just yet, and even if they should include something like this in their smart phones, at least we were expecting that on maybe one of their top flagship devices, like the Zero series, or the Note series. So when i heard the Hot S3 has a face id, i was really surprised, and that was the reason why, i decided to do this comparison. 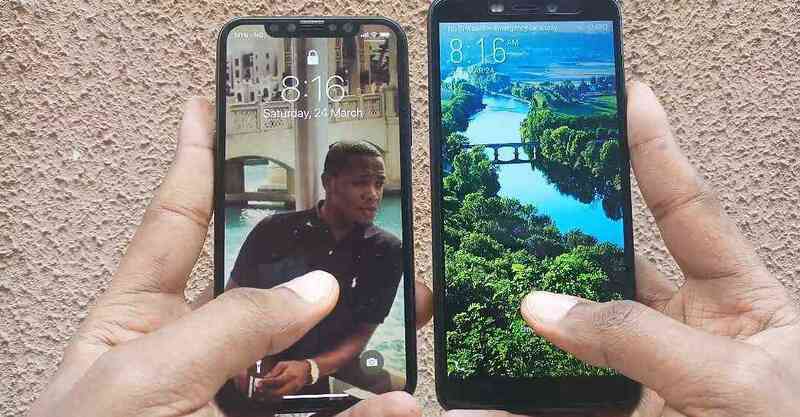 So without wasting any more time, let us go ahead, and see if the Infinix Hot S3 face id, can get so close to one of the world's best face id smart phones, the Apple iPhone X. Credits: Please note that all images and footages used in this article, are all properties of Eric Okafor, on YouTube. So to begin with, i will like us to know that the Face ID thing does not come ready and set to go with the smart phone out of the box, but instead, it comes as a software update few minutes after powering on the phone for the first time (or might even take longer for some people), which simply translate to it being a software thing, order than a hardware feature. The device only allows you to register and use, only one face at a time, unlike a fingerprint reader that allows up to five fingers to be registered on a single device. Setting it up for the first time is pretty easy, after you've downloaded the update file sent to you via OTA, and have successfully updated your phone, the face id icon will be added to your home screen, or you can as well reach it, by going to Settings >> Security and Locations >> Face ID. 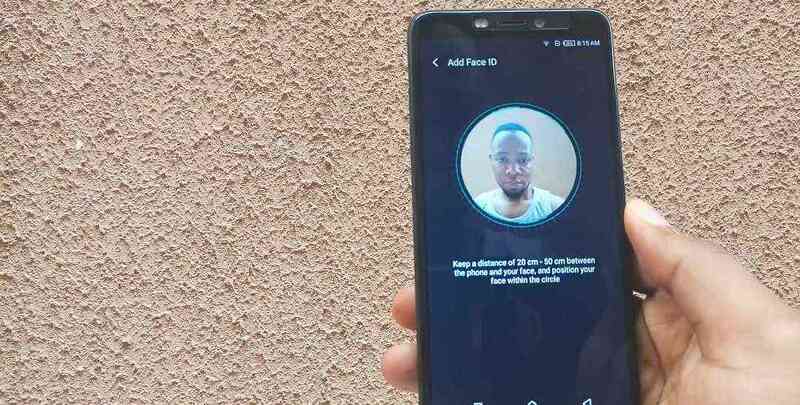 Registering your face too is pretty easy, just hold the phone about 20cm - 50cm away from your face, and in a matter of some seconds, your face will be successfully registered, which means you are ready and set to face unlock your phone. In unlocking the phone with your face, you must as usual raise the phone up to see your face, but in this case now, you must first press the power button to light up the screen, before it can see you, unlike other top OEMs where the only exercise you had to do, was to just raise the phone up, and walla....! like magic, your device is unlocked. But not withstanding, the face id is correct most of the time, and according to Mr Eric Okafor from YouTube, you can't easily fool it with a photo of you, and it doesn't struggle to see your face in low light environments. So now that we have confirmed that the face id on this thing is actually real, and not just a laughable gimmick just as we have seen on some other OEMs, don't you think it is time to bring it up close to the Apple's iPhone X? But one short comings of the apple's iPhone X face id is that, despite it being overly accurate and able to read and identify your face in all conditions, even when you're wearing glasses, you as the user, still have to swipe up the screen to fully unlock it and go to the home screen, which makes it one of the world's slowest, and maybe dumbest face id smart phone in the world today. Come to think of it, do I still need to touch my phone after it has already confirmed my face? why can't it just save me all the stress and go straight to the home screen by itself, without me needing to touch anything..? So all these exercises of identifying, unlocking and swiping up, can take a minimum of 1.5secs, which also brings it equal to that of the infinix Hot S3, where you'll have to press the power button first, before scanning and unlocking begins, which is roughly the same time as that of the iPhone X. So you see, the infinix Hot S3 Face ID is not as bad as i thought after all, so i think this is a good one and a very bold move from infinix, so i'm saying a big thank you to infinix, even if for nothing, but at least for bringing top high end flagship devices features, to a 62,000 naira smartphone, something that should have cost a neck, a leg, and a kidney to acquire. Once again, i say thank you infinix. So there you have it guys, the infinix Hot S3 put against the almighty iPhone X. 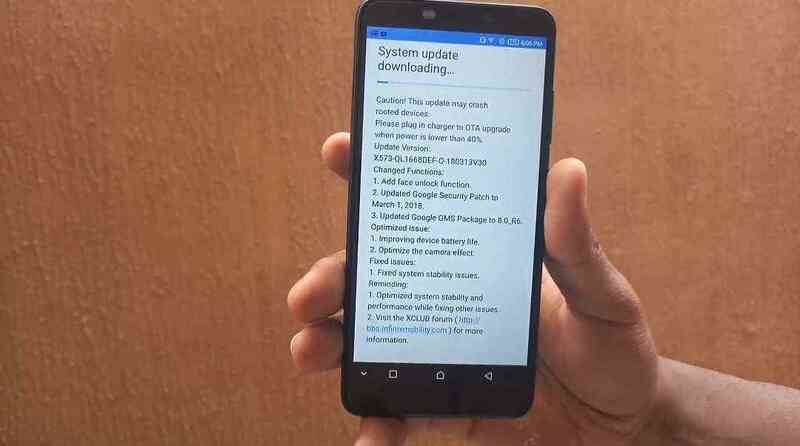 And as for those infinix Note 4 X572 users out there, i hope you all now know that the 8.1 Oreo Update is now available for the device, if you wish to see how to update it, please follow the link below.. Meanwhile, tell us what you all think about the latest Infinix Hot S3 Face ID feature, i know most people are gonna fall in love with it, and as tell us how your experience has been with it, if you've been using it before now. And don't to Share this article, and please subscribe to our newsletter, to keep seeing more good stuffs like this one. 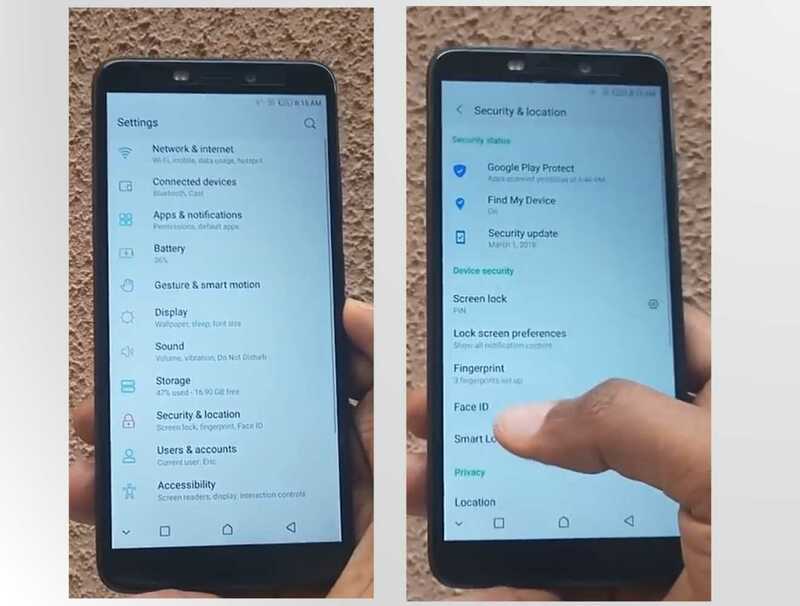 Bye, and have a nice day..
Read Also - How To Quickly Setup The Face ID Feature On The Tecno Camon X and X Pro, And As Well Use It To Lock And Unlock Your Apps. So this face ID thing wasn't a bad thing afterall... well i must say that i too i'm proud of infinix on this one..